It.s been some time since I’ve done one of these, but now that the summer is slowly disappearing & it’s getting darker quicker, one has to be grateful for something and for me, it’s the wonderful restaurants that will be gracing the streets of London this month. Keu – 9 Poland Street – Opens 15th September As I’ve said over and over again, the best way to discover new places in London is by walking around and yesterday when I was on my way to Berwick St Market to get my lunch from the PitstopCafe, I walked past what used to be a bit of a boring sandwich place and noticed the windows were blanked out. Amongst the white I noticed the word Keu. A little Google search later I found that the group that gave us Cay Tre is opening a second outpost of their Vietnamese sandwich shop. I was saddened when Banh Mi Bay left Berwick St Market so you can only imagine the excitement I experienced when I read that they’ll be specialising in Banh Mi, Noodle Bowl & Buns as well as smoothies, Vietnamese coffee, beer & some cocktails! Bring on the Banh Mi! Pachamama Bar & Kitchen – 18 Thayer Street – Opens October 2014 Described as Peruvian food with a British twist, this one got me interested, especially as there’s promises of 50% off during the soft launch period which will be happening in mid October. Bought to us by the guy who was previously the head chef at Ottolenghi, expect influences of Peruvian cuisine using locally sourced produce with the addition of a swanky cocktail bar. The restaurant which will have space for 120 diners will be spread over two main areas, with three private dining rooms and of course not forgetting the cocktail bar. For that extra attention to detail they’ve even commissioned a small ceramic studio in Oxford to create their own plates! Ippudo Ramen London – 1 St Giles High Street Keeping with the Asian influence, those of you who read my New York series will be aware of how much I loved Ippudo. It was on a list of recommendations sent to me by a friends boyfriend and it ticked every box on the comfort food list required for a chilly Sunday evening in New York. 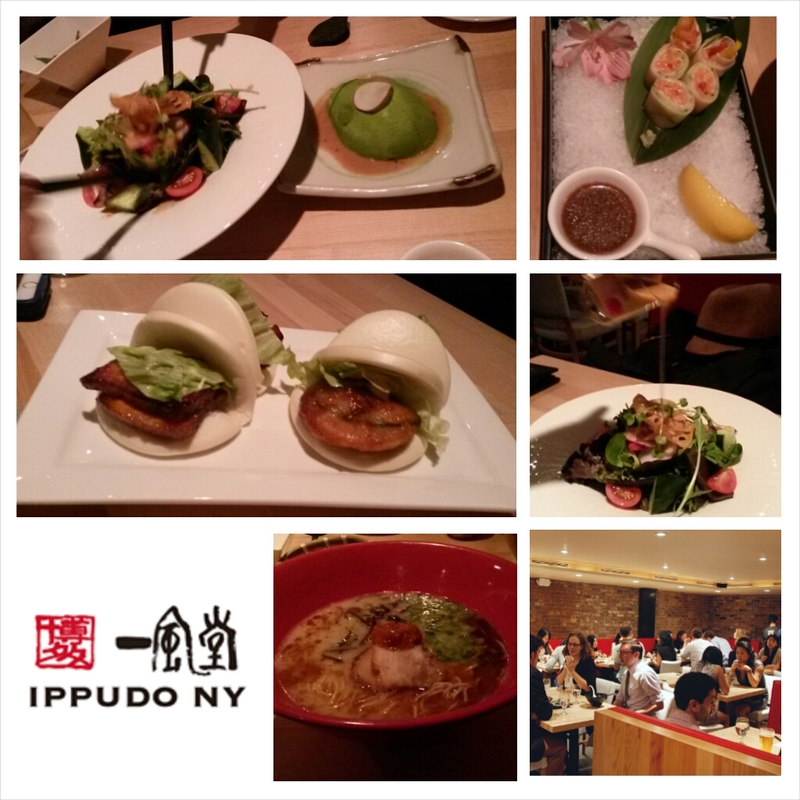 As you can imagine, when I returned from New York and realised that Ippudo was planning to open its first European outlet in London, I was ecstatic. They’ve been pretty hush hush about when exactly they’re opening but from the competition currently running on their Facebook page, it would appear that they’ll be swinging open the doors to that noodley goodness very soon. If you need some convincing as to why I loved this place or why you should make a visit yourself, have a read of my New York post. 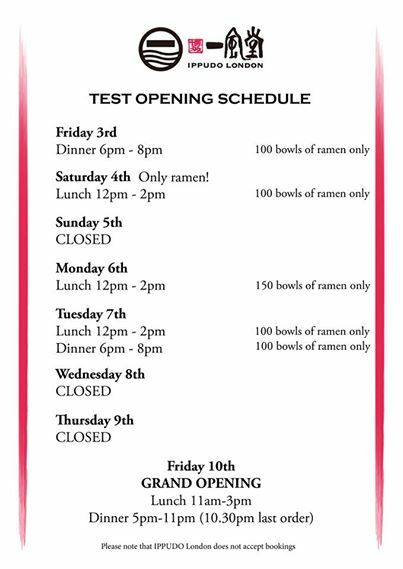 Updated 06.10.2014 Ippudo is currently running in Soft Opening mode with the Grand Opening taking place on Friday 10th October!!! Yummy!! Babaji Pide – Shaftesbury Avenue & Duck & Rice – Berwick St Good old Alan (Yau) is doing it again. The guy that bought us Wagamamas, Busaba, Yautcha & Hakkasan to name just a few has two new ventures coming our way. Babaji Pide is being described as a restaurant serving “Turkish Pizza – filled with Asian iningredients” whilst Duck & Rice will be a Chinese Gastropub. Both ventures will be new concepts that I don’t believe have been done by anyone else thus far so the excitement around them in my opinion is justified. Unfortunately opening times on these are being kept extremely quiet and whilst both sites have been boarded up, the opening of Duck & Rice has already been pushed back numerous times. Updated 28.01.2015 Babaji Pide Opened last month, I haven’t had a chance to visit yet but here’s a direct link to the menu (which they’ve managed to hide fairly well! Have you heard of any new restaurants I should add to my visit list? Leave me a comment!